The euro is many things at once. Like all other currencies, it is a means of payment, a unit of account and a store of value. Since its inception, it is an attempt to challenge the hegemony of the US dollar as world currency. Insofar as it embodies the transfer of monetary and exchange rate policy from the national to the European level, it is a major step in the process of European integration – albeit one increasingly regarded as ill-advised and out of sequence. But it is also, and somewhat more prosaically, an especially fixed fixed-exchange-rate system – and in that sense, it is also an exercise in historical hubris. During the course of the 20th century, there have been three major attempts at setting up fixed exchange rate regimes involving significant portions of the advanced capitalist world. The first one was the gold standard of the late 19th and early 20th centuries, which fell apart as a consequence of the outbreak of World War I (as the warring parties felt compelled to adopt expansionary policies in order to finance the cost of war), was resurrected in the mid-1920s, and finally collapsed again as it confronted the structural crisis of the late 1920s and 1930s (otherwise known as the Great Depression). 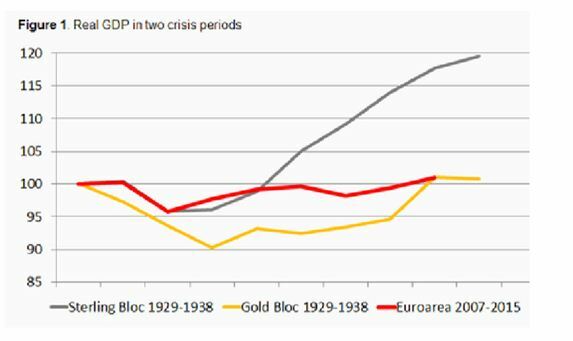 This final undoing of the gold standard was a protracted affair: while Britain and the countries of the so-called ‘sterling bloc’ left as early as 1931, others lingered on until 1938. In historical hindsight, we now know that those countries that abandoned the fixed-exchange-rate regime earlier did a much better job at overcoming the Great Depression (see Figure below, taken from here). Little wonder, then, that the experiment was doomed to fail sooner or later. The second major experiment in fixed-exchange rates was the one adopted in the context of the post-1944 Bretton Woods system, in the context of which currencies were pegged to the US dollar, which in its turn was convertible into gold at a fixed rate of US$35 per ounce. It remained in place until the Nixon shock of 1971, whereby the suspension of the convertibility of the US dollar did away with the Bretton Woods fixed-exchange rate system and replaced it with a freely floating currency regime. The proximate cause of its downfall was the US government’s need to finance the Vietnam War, but the deeper underlying cause was the structural crisis of the 1970s (which in fact began to make itself manifest in the late 1960s) and its constraining effect upon profitability, output and fiscal revenue. And so we get to the third major experiment in fixed exchange rates of the 20th century: the euro, with its predecessor the EMS. The predecessor itself came undone as it confronted the minor crisis of the early 1990s, but still the experiment was carried forward, in a sense through raising the stakes and pressing ahead, in the form of the euro. Then followed the structural crisis of the late 2000s and 2010s – and the rest, well, the rest is history being made as we speak. Each major fixed-exchange-rate regime experiment of the past 150 years has been undone by each of the structural crises which swept advanced capitalism. Expecting the euro to resist the current structural crisis, at a time when that crisis has scarcely begun to be overcome, while reacting through ever-more-deflationary policies that only exacerbate that crisis, is what I call a fair amount of hubris. A Greek tragedy, as it were. The general impression is that the EMU zone (which gathers countries belonging to, or potentially belonging to, the euro) suffers from a crisis of trust. How can we move forward with European integration when people lack trust in EU institutions? The facts may however be quite different: there is too much trust in the EU institutions and too much trust in the reform capacities in the EMU countries. The guiding rule for EU-leaders has been to restore trust in the EMU and to get economic growth in the EU back on track. Many steps are being taken to rebuild trust ranging from fiscal compact and banking union, to measures to increase the relevance of subsidiarity. Overall, these measures and the fight for trust will – optimistically – lead to deeper integration. However, the EMU zone may not suffer from a lack of trust. Paradoxically, this is bad news. First of all, there is generally more trust in EU institutions than in national institutions. Over the past few weeks, I sat in meetings with senior officials and politicians from different parts of the EU. On the question whether they would like to see the EU institutions take over economic tasks and develop into an EU economic government, the answer was decidedly ‘yes’. According to the responses, national institutions (including central banks), have been the cause of the economic and banking problems. This trust in EU institutions is in accordance with the Eurobarometer which indicates that the people in 17 euro countries have (much) more trust in EU institutions than in their national governments. The bottom of the list with trust in national governments shows euro countries Spain (8% trust national government), Greece (9%), Slovenia (10%), Portugal (10%) and Italy (11%). Other countries with low national trust and higher trust in EU institutions include France (only 24% trust national government) and Ireland (18%). The consequence of this situation is that there is not so much a lack of trust in the EU (and the related euro institutions) but a national trust crisis – and EU institutions are trusted to manage national economies. If the discussions of the past week are anything to go by, there is a majority of countries in the EU that would like to see the development of stronger European economic governance because they are themselves too weak to run their own economies. In the words of a minister from a country preparing for joining the euro: “the Commission can better decide what is good for us”. The second reason why there is not a lack of trust in EU institutions is that the EU seems to suffer from traditional over-optimism. Judging by the hope that the EU is better in taking economic governance decisions than national governments closer to their voters, this over-optimism still exists. Greece, Portugal and East European countries were allowed into the EEC/EU. Similarly, accession into Schengen also proved quite easy. Membership was assumed to lead to reforms. In the same vein, despite an argument between monetarist and economic governance economists, euro membership was granted ahead of economic reforms, trusting that membership would do the trick. Hence, the EU has been gambling with economic history based on naïve trust in EU reform mechanisms. Thirdly, countries have been trusted to be flexible and to develop. However, the French competitiveness index fell from 15th position in 2000 to 22nd in 2013. Italy’s competitiveness eroded as underlined by the drop from 24th position to 49th. Greece managed a slight but hugely painful improvement from 33rd to the 31st position. Deeper integration is on the agenda. The EU Council meeting of December 2013 concluded additional steps towards banking union and economic contracts. The basis of the economic governance, however, remains a collection of mostly week states; states that seem to have given up managing their own economies and that place their hope in the EU. The EU might as well be doomed with this trust in the EU to solve national reform problems. On January 1st, 2014, the day on which the euro had its 15th birthday, Latvia became the 18th member of the eurozone. This accession was prepared over many years and Lithuania is scheduled to follow in 2015, but still this will have come as a surprise to many. Given the predicaments to which eurozone members, and especially the more peripheral and economically-fragile ones, have been subjected to in the last few years, one would imagine eurozone exits to be more likely than eurozone accessions. And yet here we have Latvia proving just the opposite. So what are we to make of all this? Let us begin by rewinding the tape a few years. Latvia was hit by a severe financial crisis in 2008, as a consequence of the bursting of a credit bubble. 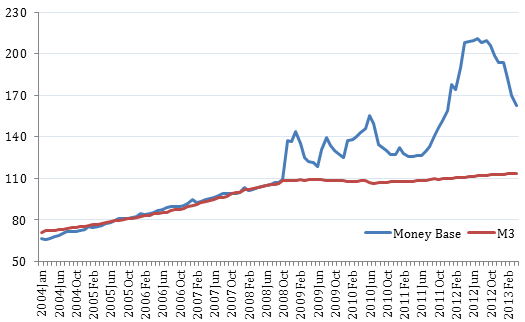 In its core, the mechanism was not dissimilar from those which affected most crisis-ridden countries of the eurozone periphery: an inadequate exchange rate (in the case of the Latvian lats, due to its peg to the euro since 2005) giving rise to a mismatch between external economic competitiveness and financial-market inflows and a gradually inflating bubble leading to an inevitable bust triggered by the Global Financial Crisis. Like the crisis-ridden countries of the eurozone periphery, Latvia requested, and was given, a bailout package (worth €7.5Bn) by the EC-ECB-IMF troika. Quite unlike the peripheral eurozone countries, however, Latvia did have a significant margin to choose between two alternative courses of action when it came to responding to the crisis: given that it had not actually adopted the euro, but merely pegged its currency to it, the choice between internal and external devaluation was a real one. 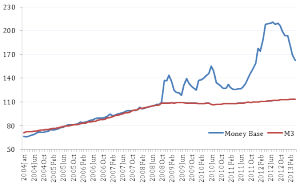 Thus, the Latvian government of the time could perfectly well have abandoned the ERM II mechanism, devalued the lats, undertaken external stabilisation in a way which ensured that the cost of adjustment was borne by the whole of society, and subsequently pursued counter-cyclical fiscal policies. Instead, it chose internal devaluation: keeping the peg and having the overwhelming cost of adjustment be borne by workers through the reduction of ‘labour costs’. The class dimension of this choice is not difficult to see: between having everyone pay (through devaluation-induced inflation) and having workers and the popular classes pay (through wage cuts and austerity measures such as school and hospital closures), the Latvian government chose the latter. And it did so with more than a little cynicism, by attempting to suggest that this choice was made out of social considerations. Now, we cannot say for sure what would have happened had Latvia made the alternative choice. What we do know, however, is what the selected course of action brought about: a 24% drop in GDP, including a drop by 17.7% in 2009 alone; an increase in unemployment from 8% to 18% in 2008-2009; and the emigration of about one-tenth of the labour force. What the ‘austeritarian’ camp hails as one of its greatest success stories (because of the subsequent recovery: 5.5% in 2011, 5.6% in 2012) is arguably anything but: six years into the crisis, Latvian output remains below the pre-crisis level, unemployment remains at 11% despite mass emigration, poverty and inequality have increased, social services have been slashed, and the demographic fallout of mass emigration will only be felt in earnest further down the road. What is most interesting to note, then, is that the Latvian government was in a much better position to avoid the social pains of austerity than the countries of the eurozone periphery but nevertheless chose not to do so – and it chose not to do so because what seems like a dysfunctional choice from the point of view of society as a whole, is in fact a perfectly rational course of action from the point of view of particular vested interests. From the standpoint of the financial elite and of the politicians that represent it, joining the euro and abandoning the lats has little to do with the pursuit of noble continental ideals, and a lot to do with further reinforcing of class power. Little wonder then that not more than 22% of Latvians favour joining the euro. And so the tragedy continues. What is EU Membership all About? This is my last entry in the Eurozone 2013 blog. I want to conclude with some general remarks tackling what sounds like a rather innocent question and is the subject of a paper I am working on: What is EU membership all about? The question was put to me for a talk at a summer school in Britain earlier this year. Needless to say, the British are particularly concerned with what I call the changing notion of EU membership. Is it essentially about the single market, Eurozone membership, or about a community of rules and values? All of them really, one might respond, but things are not that simple anymore. Ever since the governments of the Eurozone started to repair the dysfunctional economic and monetary union the notion of membership has been blurred. This development is nothing new – we have seen that the essence of EU (formerly EC) membership shifted along with successive treaty reforms, most markedly with the Treaty of Maastricht that significantly widened the scope of joint policies. With the need to further integrate EMU in the course of the crisis we are currently seeing yet another shift of membership – one that might turn out divisive. What kind of union are we talking about? This question challenges not only the political identity of euro and non-euro members of the EU-28 such as the UK and Poland. It also poses questions for countries eligible to or on their way to membership such as Serbia and the other non-EU Balkan states or Turkey for that matter. While the pre-crisis European Union was by no means the monolithic bloc as which it was often portrayed the notion of membership got even less clear cut in the course of the crisis. Why does this matter? Has the union not been dealing with different layers (a colleague once branded it the “European Onion”) for quite some time, the euro and Schengen being the most prominent examples? From an outside point of view, the demarcation between Europe as a continent, the European Union of 28 members and the eurozone of 17 – 18 with Latvia joining in 2014 – is not that clear anyway and not so important. For EU Member States, however, the degree to which they participate in the union’s policies clearly matters. It determines the rules that countries have to adopt, their rights and obligations, their access to policies, institutions, decision-making and resources. It matters to the daily reality of citizens in the EU’s Member States – think, for example, of borderless travel granted only to Schengen members. And, one aspect that gained particular relevance in the course of the crisis: the degree of participation in the EU’s policies, in particular EMU, influences the overall clout of Member states in the Union. The power question is back. Arguably the direction of the Union is defined by the members of the eurozone nowadays. True, most non-Euro members signed up to the new legal arrangements that were adopted since the beginning of the crisis, and countries within the eurozone tried to keep the ‘outs’ close to their bosom. A fragmented Union is risky for all Member States, and realising this has so far been the glue for cohesiveness. 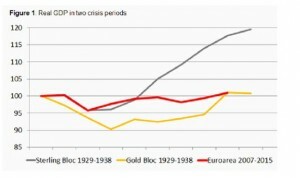 But will it hold as the eurozone continues to move ahead next year? The notion of membership has also been challenged when it comes to the Union’s values. What role do Member States still attribute to the values of their founding treaties? How could Member States invite Greece to join the Eurozone with such obvious deficiencies in its state functions and its market economy? A question that not only the union’s newest member Croatia might ask after having been through a detailed and demanding fitness regime in preparation for accession. Then, how on earth was it possible that the most important countries of the eurozone, Germany and France, both on several occasions violated the Stability and Growth Pact ten years ago without being sanctioned by the European Commission – arguably the early kiss of death for the euro in its current shape? What makes the Hungarian Prime Minister Victor Orbán so confident in pushing his luck with fellow EU countries, turning his back on fundamental rights and freedoms at home? While the EU has developed a sophisticated set of instruments to encourage good behaviour and to punish when its rules and values are disrespected in its enlargement policy, it struggles to pull similar carrots and sticks with fellow EU members. Overall, the respect of rules and values has been watered down – consequently, member states take a certain freedom in interpreting them these days. This is a most damaging side effect of the crisis that member states will have to deal with in years to come. The upcoming elections to the European parliament will demonstrate how vulnerable the Union has become with regard to its values. Parties and movements that claim they want a different Union but that in reality don’t want the Union to work will manage to capitalize from this worrying development. There are two lessons from 2013 that policymakers should bear in mind in 2014: EU membership must not be divisive, and it must bring values to the fore again. Are we Living in a Post-EU Society? There seems to be a paradox: whereas the euro crisis has enforced deeper integration, economic and political attention is shifting away from the EU. Europhiles blame the Eurosceptics but EU-watchers should be careful to follow simplistic reasoning. Dutch Foreign Affairs Minister Frans Timmermans has the reputation to be an EU-believer and was, among others, a convinced member of the Convention that drafted the Constitutional Treaty. When he became minister of foreign (including EU) affairs, the general impression in the Netherlands, and the rest of the EU, was that his appointment was a good sign of the Netherlands becoming pro-EU again. However, now one year in office, Timmermans has shown himself rather critical of the EU. He talked about a ‘Brussels bubble’ that has lost touch with reality, criticised EU salaries and insisted on closer control of the EU Commission by the European Council (i.e. intergovernmentalisation of the Commission). Of course, it is possible to contribute this to pragmatic kowtowing to the political signs of our times or to the more reserved EU attitude of the Dutch liberal Prime Minister Rutte and his coalition government of which Timmermans is a member. Yet, there is more. Minister Timmermans is also travelling extensively abroad. In fact, he is much more in other parts of the world than in Brussels or in EU Member States. One could could argue that the Dutch international influence via the EU would be more pronounced and, hence, that the use of all his international activism outside the EU is debatable. In the meantime, across the channel, Cameron has expressed the possibility of an in-out referendum. A part of British industry has been issuing threats of leaving the country, and many in the EU are once again appalled by the Brits who continue to be unsurpassed EU-sceptics. However, rather than condemning – as so often happens – the Brexit discussion ignited by Cameron, we could also try to take the British debate seriously. Similarly, we might need to consider that Timmermans’ external perspective is well-founded. In any case, it has to be admitted that the British are good at thinking outside the box, so maybe there is more substance behind the Brexit debate than simple Euroscepticism. Studies also show that big as well as small and medium-sized industry in the UK question the relevance of current EU policies and of the importance of the EU. Whereas about half of the UK’s exports go to the EU, the other half is going to other parts of the world and, more importantly, it is there where the growth in export – not just the UK’s ─ is taking place. Discussions about competitiveness are now primarily linked to comparisons with countries such as India, China, Brazil and the USA. Hence, rather than sticking to European navel-gazing, it seems justified to look at the rest of the world for market opportunities and for new threats. In principle, questioning social policy objectives – maybe precisely because they are more symbolic than real – and other developments in for example the growing tasks of the ECB and in the EU’s economic governance, seems a valid starting point in the current debates on the future of the EU. It is crucial to consider what such trends imply for the EU’s competitiveness. This is important from an economic perspective but one also has to consider that the EU’s international security and influence are intimately related to its economic strength. External benchmarking of the EU’s competitiveness should not suffer from internal euro crisis debates. The EU may have to come to terms with the fact that we work and live in a post-EU society, which also helps to put the traditional European claims into perspective. There is a keen awareness in the Netherlands that 70% of our trade goes to countries within the EU, especially to countries within 1000 kilometres of our borders. This has actually little to do with the EU. Trade relations with neighbouring countries are bound to be important, irrespective of the European integration project. Although important, extensive trade with countries close by are more or less traditionally given. Trade with other parts of the world is clearly increasing and posing new and painful challenges. To focus trade relations more on the rest of the world seems a natural and necessary development. We in the EU may have to accept the post-EU society as a reality. Voters, consumers and industry have interests beyond the internal market and internal eurozone worries. This recognition has, in principle, little to do with anti-EU sentiments. It would be a mistake to taboo those who’ cast their nets out further’. On the contrary, accepting this might actually help us to get a better focus on what is important within the EU, e.g. standing together in external relations, and what is potentially dangerous such as, for example, creating a French-type EU. The European Union is important, but there is a lot more in the world that counts. You may have heard about the recent report by the US Treasury criticising Germany’s deflationary economic policies and their harmful effect on the global economy. And if so, you have probably also heard about the reaction that ensued on the part of the representatives of the German authorities, who retorted that there’s nothing wrong with Germany’s “growth-friendly economic and fiscal policy”. Indeed, according to the latter, Germany’s policies constitute a model to be copied by all, including in particular by deficit countries like the US. My own contribution to this debate will consist of inviting the reader to travel back in time to the United Nations Monetary and Financial Conference which took place in Bretton Woods, New Hampshire, in July 1944. It was a watershed event, which lay the foundations of the global monetary and financial system for decades to come, including through the creation of such structures as the General Agreement on Tariffs and Trade, the International Bank for Reconstruction and Development (which would become the first of the World Bank Group institutions) and the International Monetary Fund. In addition to seeing the birth of what would become known as the ‘Bretton Woods institutions’, the Conference also became legendary in the field of economic history due to the debates between the British delegation, led by John Maynard Keynes, and the American delegation, led by Harry Dexter White. Both men would go down in history: Keynes as an intellectual giant and the ‘father of modern macroeconomics’, White for his ultimately victorious role at the Bretton Woods Conference, but in a strange twist a fate a few years later also due to having been exposed as a Soviet agent in the context of McCarthyism. In any case, the crux of the disagreement between the British and American delegations concerned which mechanism should be put in place to govern the international financial system and, in particular, to deal with international imbalances. White’s proposal was the one which was ultimately adopted: a fixed-exchange-rate currency regime and the creation of the IMF, tasked with providing emergency financial assistance to countries faced with balance-of-payments crises, under the proviso that these countries adopt contractionary policies aimed at curbing their imbalances. By contrast, Keynes advocated the creation of an international clearing union and international unit of account (the “bancor”), and he wanted the burden of adjustment to be shared by deficit and surplus countries alike: deficit countries would be required to curb demand, but surplus countries would be required to use their surpluses to increase their demand for other countries’ exports. This was built on the acknowledgement that a country’s surplus is, by necessity, another country’s deficit – and on the idea that addressing international imbalances through forcing contractionary policies on one of the sides of the imbalance alone has an overall depressive effect on the global economy. By virtue of political economy (the strength of the creditors’ interests) rather than sensibility, the American proposal won – and that is why throughout the last few decades we have seen IMF delegations imposing austerity, privatisation and deregulation in crisis-ridden developing countries, instead of seeing them confiscate a share of China’s or Germany’s trade surpluses and injecting them back into global demand as Keynes would have had it. So you see, this most recent of controversies has its roots in a debate that stretches well into the past. It’s not hard to see who’s on the side of reason here: Germany’s policies are not an example to be copied by all because, by definition, not every country in the world can be a surplus country; and its current account surpluses are not “a sign of the competitiveness of the German economy and global demand for quality products from Germany”, as the German authorities have sought to suggest, because, for any level of exports, Germany could have a balanced current account as long as it did not also have an excess of output over spending. The criticism by the US Treasury is therefore entirely to the point. However, it also comes tragically and ironically late: late by about 10 years if we consider the origins of Germany’s ‘wage restraint’ policies; late by about 70 years if we consider what the American delegation stood for at Bretton Woods, and what that meant for the functioning of the global economy in the decades that followed. Taking a Close Look at the Grand Coalition Talks: not so Grand on Europe? Berlin is heading towards a grand coalition between Chancellor Merkel’s CDU, her Bavarian sister party, the CSU, and the Social Democrats (SPD). After an election campaign in which European issues were strangely absent, surely the delegations that sat down a month after the elections had to get their teeth into Europe. By putting Europe on the agenda of the coalition talks at an early stage of the negotiations, the delegations wanted to send out two messages: firstly, Europe matters and, secondly, Conservatives and Social Democrats are optimistic about shaping a joint agenda, so no need for the rest of Europe to worry about Berlin not getting its act together. Clearly, healing the eurozone is of vital interest for this country and one of the priorities laid out by Chancellor Merkel for the future government. However, what leaked out on the confidential discussions last week was not quite matching these ambitions. To start with, it is, arguably, rather strange to see European affairs merely been dealt with in a subgroup (“banking regulation, Europe, Euro”) which is part of a larger working group on Finances and the Federal Budget headed by Finance Minister Wolfgang Schäuble and Olaf Scholz, First Mayor of the Free and Hanseatic City of Hamburg. A subgroup? Hardly a sign that Europe is prioritised despite the presence of prominent figures such as Martin Schulz and Markus Söder, the Finance Minister of Bavaria. One cannot resist the comparison with the Convention on the Future of Europe convened in 2002, which did not have a working group on “EU institutions” because the issues on the table were so controversial that they had to be dealt with across different working groups. On major issues such as pending decisions on banking union, the SPD’s debt redemption fund, or referendums on EU affairs put forward by the CSU, there was clear and open controversy. Are these really merely tactical moves by the SPD to keep an independent profile from the CDU, especially in the run-up to the European Parliament elections (with Martin Schulz to be nominated as the PES’s candidate for the presidency of the European Commission later this week)? Not surprisingly, a working document of the discussions that was leaked by the Young European Federalists (JEF) provoked an outcry of Germany’s young pro-Europeans. Apart from a general commitment to the EU this short draft consists of an odd mix of buzzwords for CDU/CSU and SPD: the principle of subsidiarity, a strong role of member states in public services, an EU budget prioritising growth, employment and innovation and the already agreed financial transaction tax. It is unclear what stage of the negotiations it reflected when it was leaked, but the paper ridiculed what are meant to be serious discussions. Public debate in Germany is currently all about the alleged tapping of Angela Merkel’s phone by US intelligence. At the same time, perhaps to the surprise of those looking at Germany from the outside, the public continues to be largely immune to the most recent wave of criticism from the US Treasury challenging Germany’s external trade surplus and the risk that arguably the German model poses to the healing of the eurozone. I am not suggesting that one has to agree with such allegations, and certainly any German government should respond to such criticism with good arguments. The president lacks political clout, yet he is an accepted normative lighthouse across the country. But he remains a rather lonesome voice on this issue so far – and I doubt whether Germans listening to his speech actually understood the point that the president tried to make. The German public cannot be blamed for this wide-spread ignorance (or innocence?). Where are the politicians today who have the courage and wisdom to unchain the Europe debate?